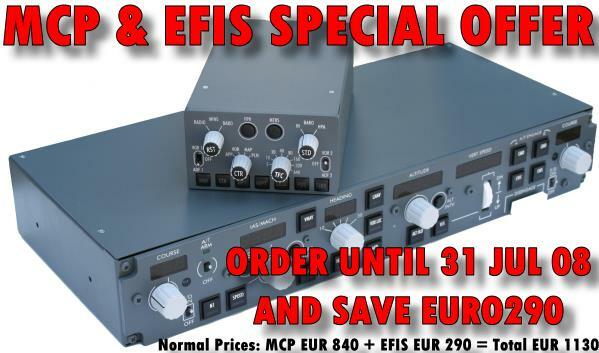 The Spanish hardware manufacturer Sismo Soluciones is offering their MCP and EFIS set for the Boeing 737 New Generation with a 290 Euro saving if you order it before the end of July! The set consists of full scale 1:1 metal boxes, laser cut and engraved control panels, all electronic components included. This is a FS2004 set, and software for FSX is expected to be developed later. Available from simMarket. Friendly Panels has released their version of the Bombardier CRJ700 panel for FSX. 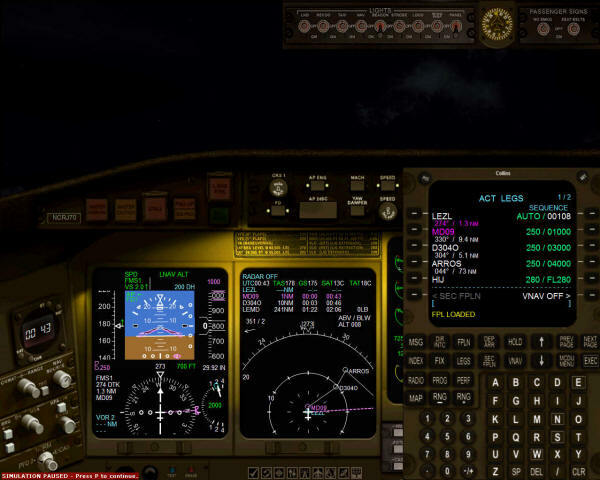 The main feature of it isÂ “………FMC that can manage flight plans created with Microsoft Flight Simulator FSX, or any add-on which can export flight plans in the FS format. We have eliminated the complex way in what you have to plan your flight in current commercial FMCs implemented in some of the commercial airliners existing for Microsoft Flight Simulator but keeping the feeling of a real FMC-CDU……”. For more details and to purchase, head for the simMarket Product Page. 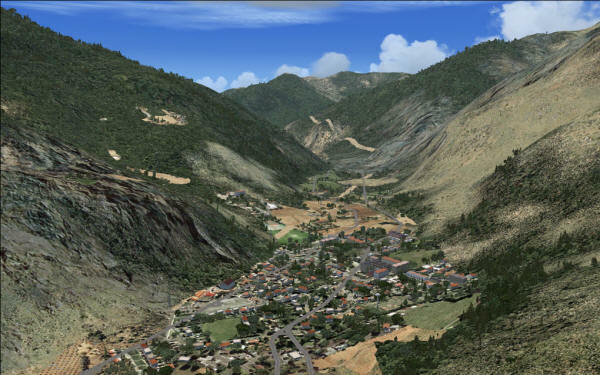 Scenerytech has released a number of landclass replacement products on simMarket. You can now separately purchase their landclass for Asia, Europe, North America and South America. They state that “…….SceneryTech’s products fix nearly every issue found in the default landclass, from pervasive desertification of the landscape to missing towns and cities. Most importantly, it will ramp up the realism and make the FS world a more interesting place to fly……”. Flight Replicas has released their package of the venerable Messerschmitt ME-262A 1A and ME-262B (trainer). 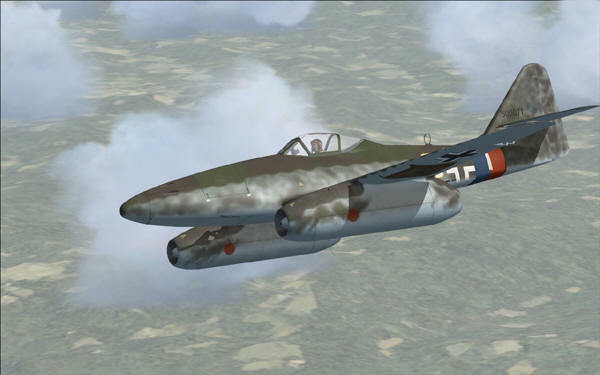 “…..Built specifically for FSX (SP2/Acceleration), this all-new extremely detailed and functional Gmax version of the famed Messerschmitt Me-262 features not only the single seat fighters, but the two-seat trainer with fully operational dual cockpits as well….”. The ME’s are available from simMarket’s on-line shop. Carlos and Leandro have reworked this old title to fit FSX. 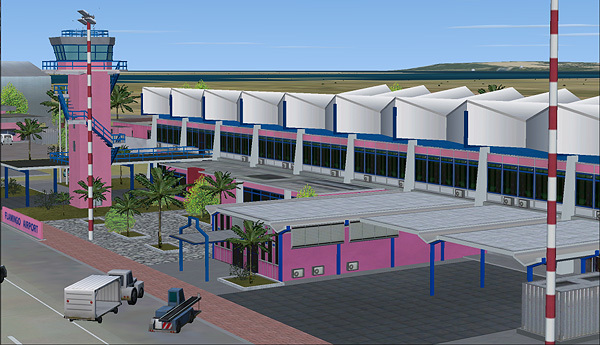 As the authors state “…… Six years after the first release of the ABC Islands for FS2002, TropicalSim brings one of its oldest releases into the new generation line of products called “X-Generation”. 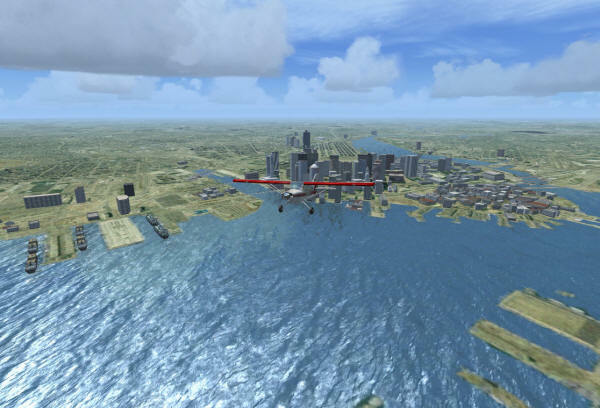 This version will work on both FS2004 and FSX using today’s advanced rendering techniques……”. Available at simMarket of course. The July issue of the world’s largest FS mag is out now and available for (electronic) purchase on simMarket. 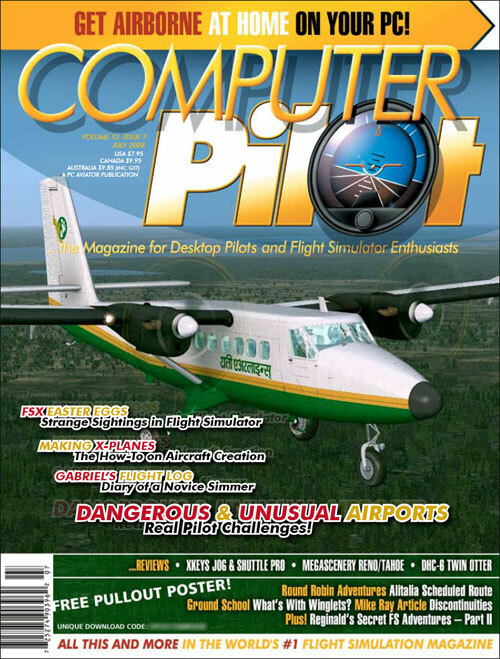 This month’s articles include interesting topics such as checking out freeware airfields, dangerous airfields, a new article by Mike Ray, a review of the Space Shuttle Sim by yours truly, a story on winglets and much more. 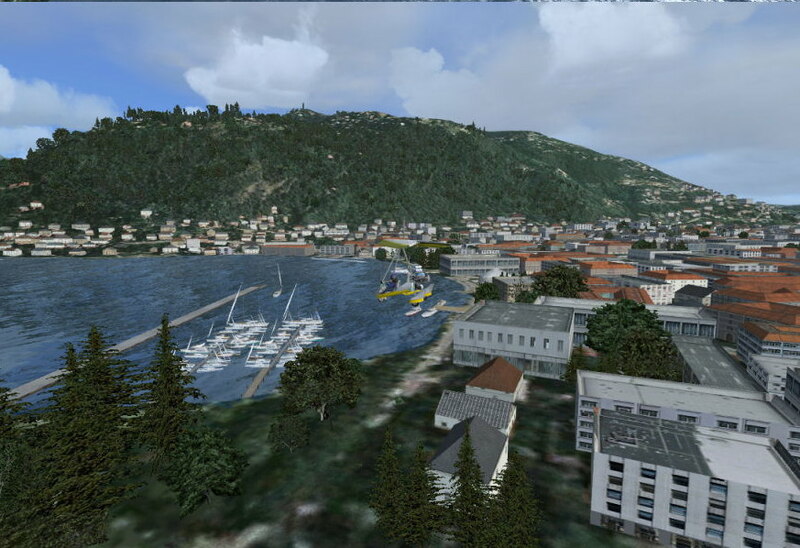 Raymondo Taburet has released yet another of his photo sceneries for FSX. This time it is Boston, US. “…..It is a photorealistic scenery for day and night / summer – covering the whole area of Boston – includes some additional autogen built around the main Boston Town….”. New on simMarket today is a package of 40 Lufthansa flights in the form of FSX missions, brought to you by FSXAdventures.com. 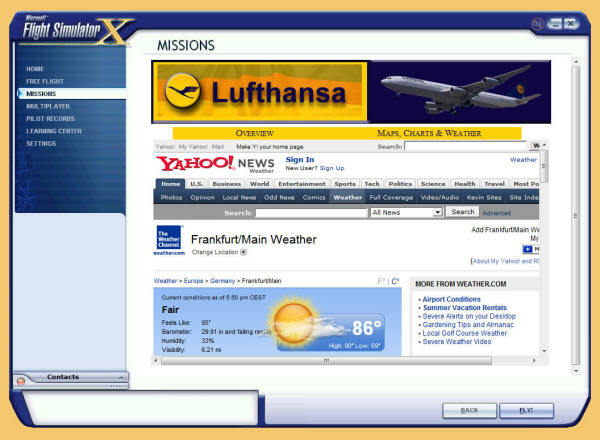 The package includes 40 set flights/missions, detailed mission briefs, Google mapsâ„¢, satellite images of destination airports, Yahoo.com weather Links and more. Get it here on simMarket. 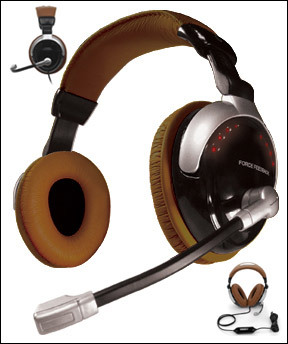 After much speculation, eDimensional and BenHeck are “……..proud to announce the newest addition to the eDimensional product line, the AudioFX Pro 5+1 gaming headset. Taking everything that is great about the acclaimed AudioFX including the unique force feedback feature and giving BenHeck free reign to add a style and design specifically for gamers, the AudioFX Pro 5+1 is the ultimate gaming headset.